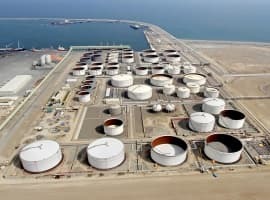 Brent crude and West Texas Intermediate started the day today with gains, albeit modest, following yesterday’s Weekly Petroleum Inventory Report by the Energy Information Administration that said Saudi oil exports to the United States had declined as OPEC’s de facto leader cuts production deeper than agreed to accelerate a hesitant rise in prices. 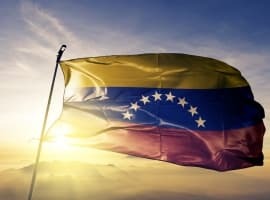 Additionally, the new round of sanctions from Washington that target Venezuela’s state oil company also helps prices by sparking concern about potential supply disruptions as PDVSA is one of the four largest suppliers of crude oil to Gulf Coast refiners. In the headwind department, soft gasoline demand in the United States came to the fore earlier this week. Reuters’ John Kemp brought gasoline into the spotlight this week, citing a report from the EIA that found gasoline consumption in the world’s largest user of crude oil remained flat on the year over the first ten months of 2018. What’s more, the EIA expects gasoline consumption to have declined by 40,000 bpd over full-2018 from a year earlier. This softer demand for gasoline will likely continue to apply counterpressure to prices amid the OPEC cuts, in addition to growing expectations that the U.S. will probably extend sanction waivers to some of Iran’s biggest oil clients. What would you call a market where 1 or 2 producers constantly jawbone prices and absolutely manipulate supply in order to get prices where they want? What do you call it when for 8 consecutive weeks, both the API and EIA reported massive builds in gasoline and distillate stockpiles (each time multiple of yesterday's draw) and yet RBOB never declined in price? Yesterday, RBOB was already up about 1.4 percent before the EIA report then just following it was up more than 4 percent! So, the price is allowed to soar by 5 or 6 cents in a single session on a modest draw but never once in 8 weeks decline on massive builds? What do you call it when CNBC has headlines for oil including "Oil up on hopes..." or today, "US crude oil poised for best January on record"? WTI is up today because it is the last day of the month? That is why we should all pay more, so that the up-trend is not interrupted? What do you call it when (as of this writing), WTI is $12.70/bbl higher than its lows of $42.67 and yet OPEC+ is still jawboning? 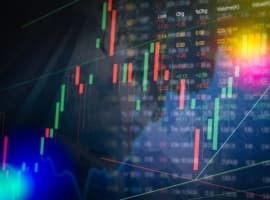 What other market is prevented from going down by 1 or 2 producers (Saudi Arabia and Russia) and only ever trades on the upside? Folks, that is a profit of $12,700 per contract for those hedge fund managers and private equity firms which do a majority of the bidding for OPEC+ via 'algos'. WTI is up approx. 30 percent (20 percent in January alone) from those lows, and is already 38 percent of the way back to the 2018 multi-year high of $76.29. Oil price is down 30% from 10 years ago ($75/bbl) and yet most other essential commodities are up, the same or slightly down. I call that rigged that oil is not well over $75/bbl when you have only 1 MMBOPD of spare excess capacity or only 1 % of the total global production of approximately 100 MMBOPD. With all the geopolitical tensions, it should be over $150.